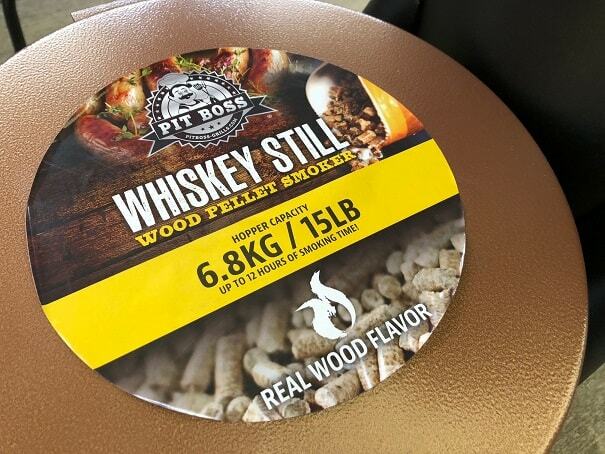 Whiskey Still Pellet Smoker by Pit Boss Review: No Thanks. 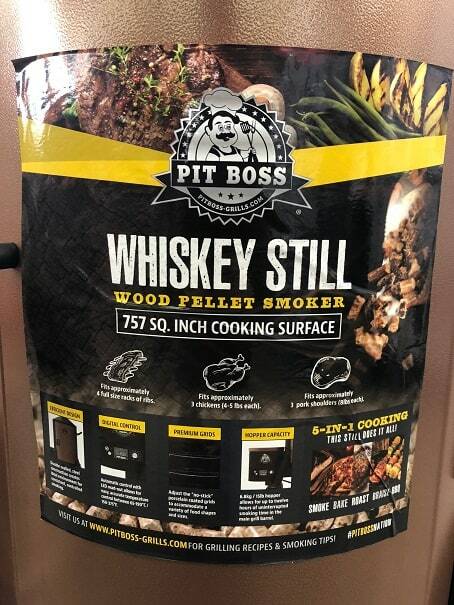 Pit Boss has come out with a new pellet smoker that is designed to look like an old time whiskey still. 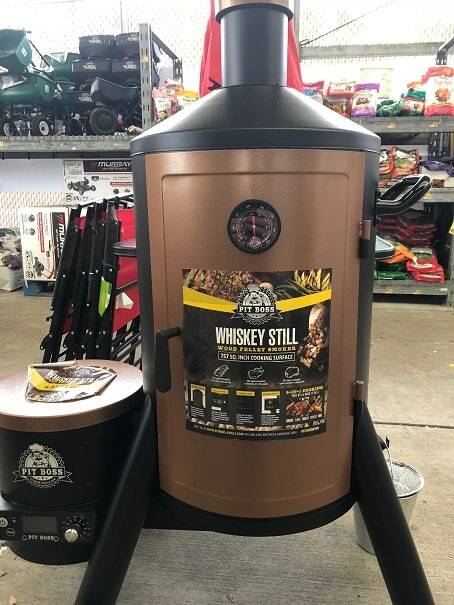 While the design is cute I really can’t think of any reason why anyone should buy this product instead of a Pit Boss vertical cabinet smoker or their more traditional barrel style smokers. Let me walk you though the basic details of this smoker and then we can look at why it really isn’t a good choice. This is a pretty basic smoker that, despite the novel outside design, doesn’t have many features. Cooking Grates: Three 18 inch diameter grates. 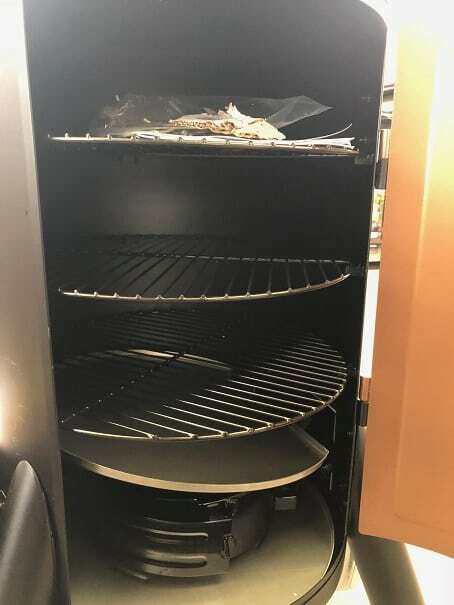 The major problem with this smoker is capacity. The 18 inch grates just are not that large and most folks will only want to use two of them. Here is a look at how much Pit Boss says you can fit in this smoker. Three chickens: Presumably that is one chicken per grate. Four slabs of ribs: Presumably that is ???? I suspect that the usable capacity is actually lower than this. Here is a look at the base of the smoker. 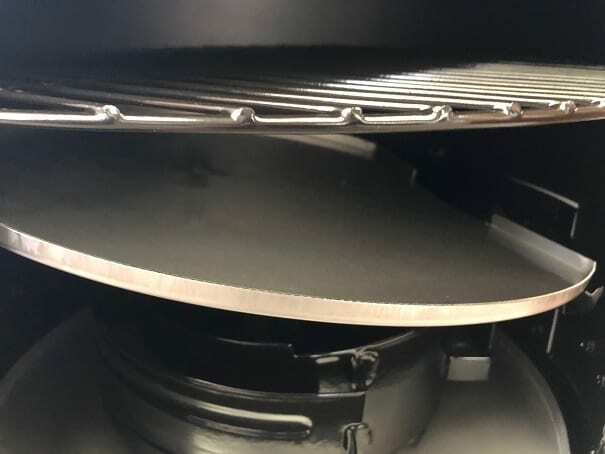 You can see that the bottom grate is directly above the grease tray which in turn is directly above the pellet burn pot. Here is how all of the grates and burn pot assembly look together. There is no way in heck that the bottom grate will be seeing the same temperature profile as the top and middle grates. The best use for that bottom grate is to hold an over sized water pan to add moisture and help collect grease. I suspect that folks will eventually end up only using the top two grates for cooking. Other than capacity there are a couple of other features about this design that I don’t like. Accessing the food from the side panel door will be awkward. Let’s say that you have a big pile of country style ribs smoking away on the top grate and you want to brush them with a little sauce. You are going to have to open the side door and breath in a big pile of smoke while you try to reach the ribs on the back side of the grate. There is no easy way to access any food that is on the back half of the grates. This isn’t a deal killer but it is annoying. Another feature that is lacking on this smoker is a proper working side table. You are going to want someplace to put your tongs, paper towels, etc and this smoker doesn’t have it. 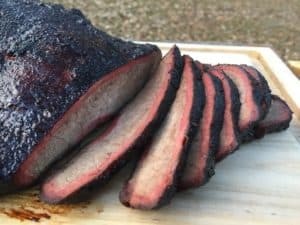 Pit Boss makes plenty of full sized smokers that work great and have plenty of capacity. If you want a Pit Boss Pellet smoker then buy one that is functional, not the one that is cute.